The Body of Christ: How "Love is Love" is Unloving. We keep hearing the phrase "Love is Love" lately and it implies that anyone can love anyone genuinely. That is only half true. We can genuinely think and believe we can and do love anyone (or anything) but what exactly is "love". Love is not a human invention. It transcends humankind. Love is not defined by a single culture or dictionary. It is not a point of view or opinion. Love is defined and exists a part from man and outside of the physical world. No personal view or government law truly defines what Love is. To know what love truly and genuinely is we must look beyond ourselves and this world and see what God himself says it is as he is the author of all things in our reality. 1 John 4 is THE perfect place to start. True Love is the self sacrifice for someone else who does not know it or appreciate it. It is a selfless seeking of the greater good for someone else, forever forgiving and an unending pursuit. (1 John 4:10-13). True Love reflects The Gospel (1 John 4:10-18). Love recognizes the lost-ness, sinfulness, and the need in someone else for forgiveness and grace. Love compels selfless acts for the hopes of redeeming someone from their sins. Love ultimately brings someone to God through Jesus Christ. Love saves eternally and is heavenly focused. Love does not condemn, but restores. Love does not condone sin, but over comes it. Love goes beyond all people in the world and all things of the world. God is Love. So here is the problem with the "Love is Love" phrase thrown around these days. It is said to justify selfishly "loving" who ever and what ever you want. It does not reflect The Gospel. It keeps people in sin. It is boastful and proud of its own wants and desires. It does not rejoice in the truth that what their love is sin. It is a different kind of Love. It is contrary to God's Word and who he is. It is not from God and it is not God. THEREFORE: Because it is not True Love and it is not from God and is not God; it is Unloving in contrast to True Love. 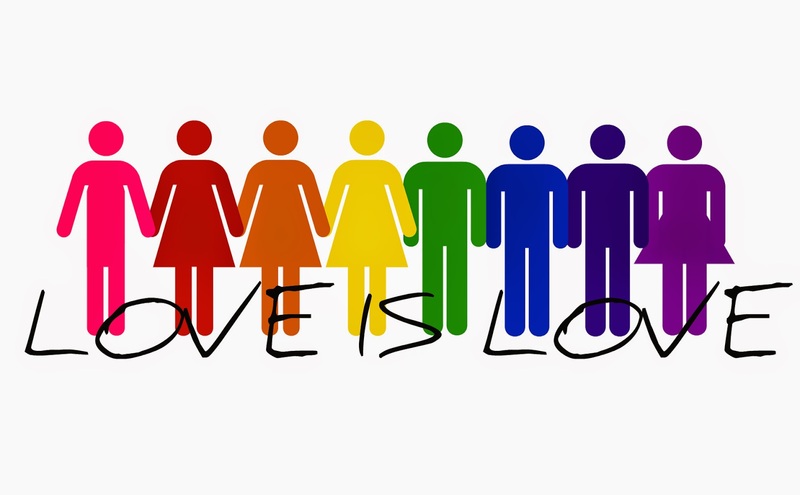 The reality is that by supporting the ideals behind the phrase "love is love" is really being unloving to each other. The most unloving thing we can do as humankind is to not reflect God to the rest of the world. The truth about the phase is that it masks the dark reality that The Gospel exposes. Sometimes Love is hard. It calls us to make hard choices and say hard things. It compels us to sacrifice ourselves in ways that this world does not want to see or hear. Tough Love is expected. Jesus being murdered on the cross is proof of tough love being of God. Sending Jesus to get ridiculed, beaten, scourged, crucified, stabbed in his side, and murdered on the cross... was God proving his LOVE for us. Jesus' tough words and rebukes, offending some and hurting the feelings of others, are proof of tough love coming from God as love (Matt 23). At no point was God Unloving because He is Love. Unwillingness to show tough Love but only loving when its easy still denies God. It only affirms the part of love that is selfish. True love is loving when its easy and loving when its hard. That affirms God all around. So how do we Truly Love one another? Live a true gospel focused life. Be forgiving and show Grace without supporting or condoning things that prevent people from coming to faith by seeing The Gospel of Jesus Christ through your words and deeds. Express and live life in such a way it recognizes Sin and fights against it by denying your self and loving God through faith in Jesus Christ. Seeking daily a relationship with God will compel us to genuinely love the people around us; but it all starts with God because Love is from God and is God.